*Important information. You must register online by August 20th to guarantee a t-shirt. 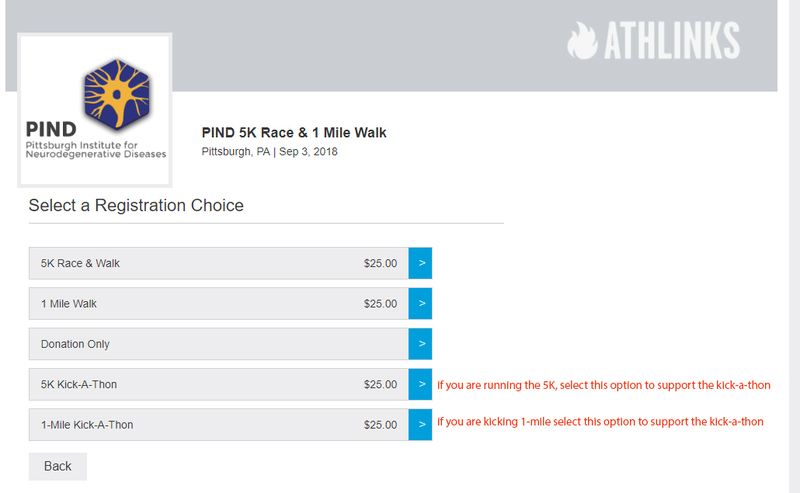 You do not have to walk, run or kick to make a donation. 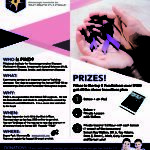 We ask that all students try and raise at least the minimum of $25. 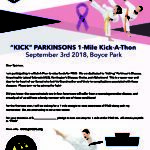 Kick-a-thon will follow the 1-mile walk. 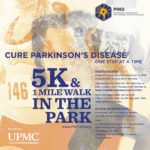 Event begins @ 8AM Boyce Park, Monroeville. 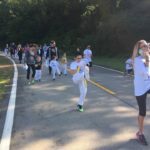 Here are some photos of last year’s PIND Kick-a-thon:PIND (Pittsburgh Institute for Neurodegenerative Diseases) 5K walk/run/kick held annually Labor Day at Boyce Park in Monroeville. 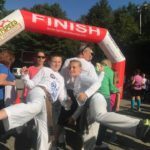 PIND offers a unique twist to the traditional 5K by incorporating a “Kick-a-thon” portion where local martial artists literally kick for a mile non-stop alongside the walkers. It is a first of its kind in event in the region, possibly the country. The estimated amount of kicks thrown by each participant is 2000, collectively they hope to hit 200,000 kicks to raise awareness. 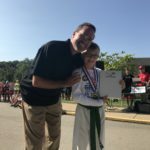 The “Kick” concept was developed former State Senator Sean Logan along with and Irwin native Bill Viola Jr. (owner of Norwin Ninjas and Allegheny Shotokan Karate). 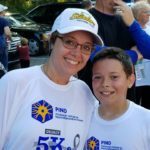 Logan was diagnosed with Parkinson’s disease in his mid-forties and Viola spent years caring for his Grandmother who passed away from neurodegenerative complications. 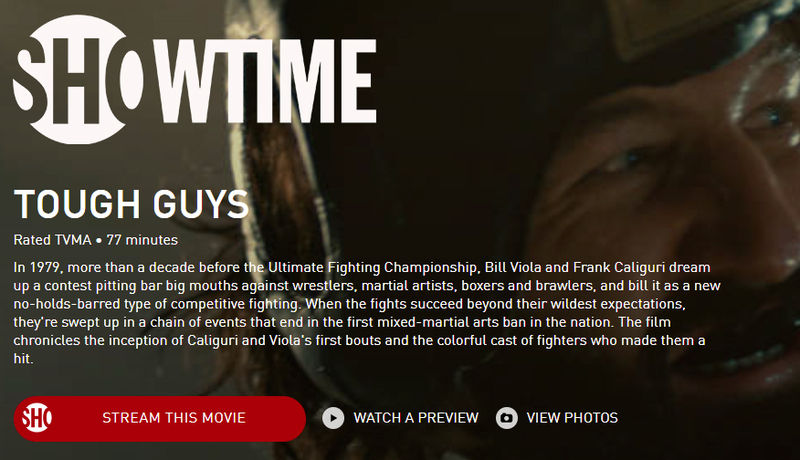 Viola said, “The cause is near and dear to my heart. 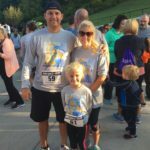 I’ve been looking for a way to fight this epidemic, and having my school ‘Kick’ for a cure was a perfect fit. 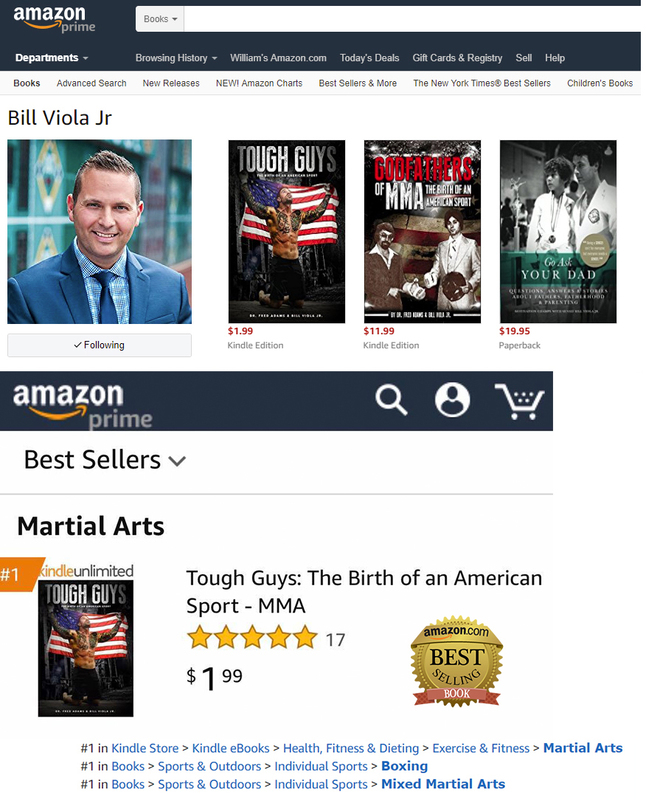 Building character is an important part of martial arts. My students exceeded my expectations by collecting donations.” Rayden Galley led the group of 50 kickers by donating nearly $500. 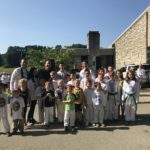 The karate students in total donated over $4500 to PIND bringing the 2017 efforts to over $100,000 for the entire project with aid from corporate sponsors and the surrounding communities.